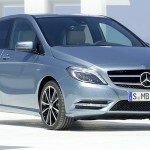 Mercedes-Benz unveiled its latest entry-level model yesterday: the 2012 B-Class. Thanks to a new design, new engines, Mercedes-Benz’s new dual-clutch automatic cog swapper, Mercedes-Benz is calling the B-Class to be far more agile, efficient, comfortable and more spacious than the B-Class before it. As far as the interiors of the new Mercedes B Class is concerned, the dashboard has a unique design and the material used is of high quality. The dimensions however have been altered a little, which include vital packaging changes. The new Mercedes B class comes with lower front seats and more in an upright position. The 2011 B-Class comes with new fuel efficient, four-cylinder, petrol as well as diesel engines. The new petrol engines feature Mercedes’ third-generation direct injection system which was introduced first on the BlueDIRECT V6 and V8 engines. The B180 gets a 1.6 litre with 122 bhp and B200 with 156 bhp. As far as diesel options are concerned, the new B-Class gets Mercedes’ third generation common-rail diesel engines. The B180 CDI puts out 109 bhp and the B200 CDI pumps out 136 bhp. Both engines can be mated to either Mercedes-Benz’s new 7G-DCT dual clutch automatic or Mercedes-Benz’s new 6-speed manual. 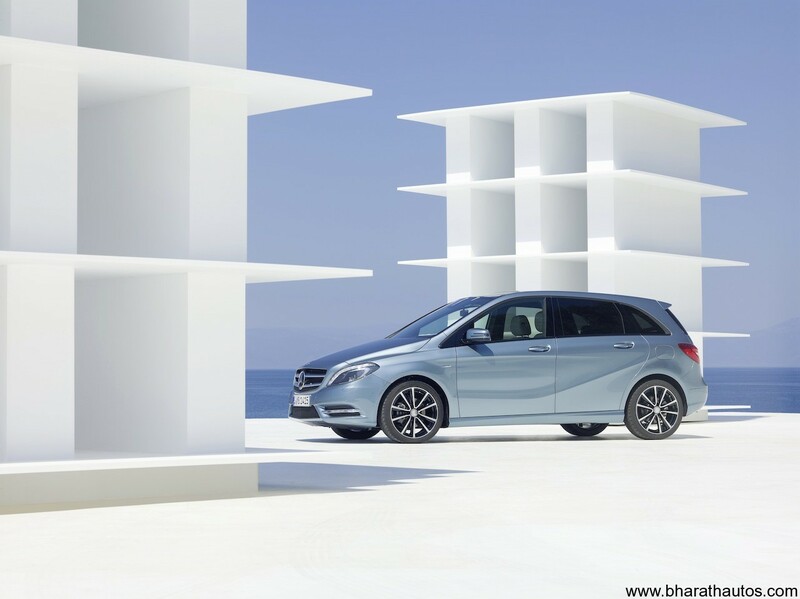 B-Class along with being more efficient and agile will now be safer too, as a radar based collision warning system and adaptive brake assist will come in as standard. 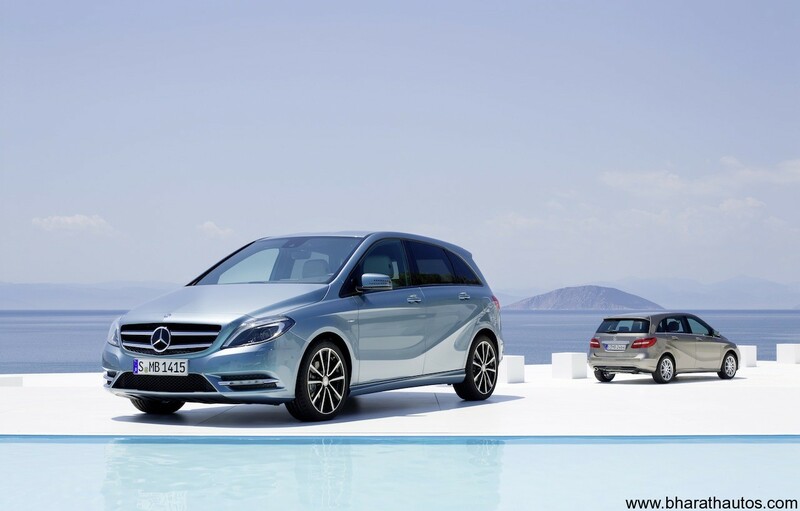 The debut is of the 2012 B-Class is slated on September 13 as the Frankfurt Auto Show kicks off then. 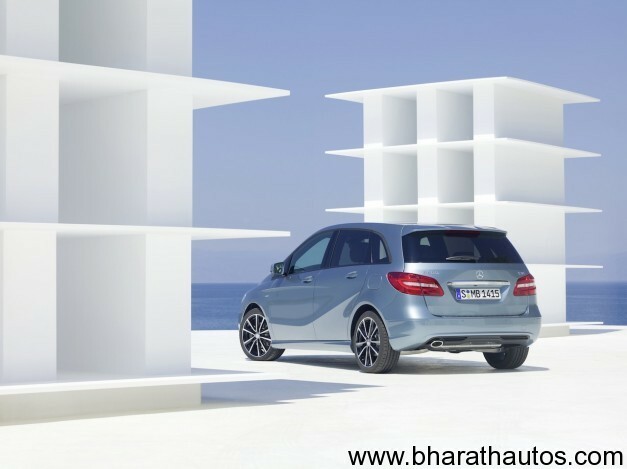 India can expect the B-Class to make an entry at the 2012 Auto Expo.